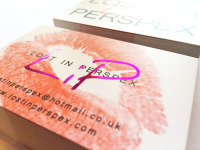 We offer Matt Laminated, Gloss Laminated, Spot UV, Velvet Laminated, Gold and Silver Foil, Embossed and De-bossed, Letterpress and Loyalty Cards. Whether you need a few sheets of A4 address labels or full colour self adhesive stickers for a club night or food item we've got it covered. 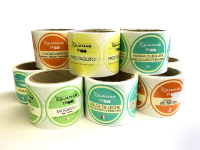 We have hundreds of option when it comes to both labels and stickers. They come on a roll, on A4 sheets or in strips - die cut or just square cut. 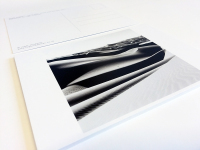 We offer complete flexibility to all our customers that need print during these demanding times, even at late notice, our aim is to print and deliver your product Catalogue or directory in super fast time. 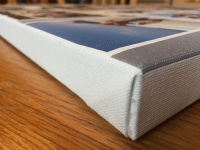 Our Canvas Prints are produced on our 8 colour Epson Inkjet printer, giclee varnished and hand assembled to give the very best quality finish possible. Available as both standard and premium. 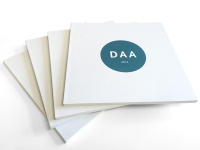 Ideal for mailing, advertising or promotions our Flyers come on a range of substrates from 100gsm black and white flyers to 450gsm Postcards with a laminated finish. Our Full Colour Banners are available at short notice and printed to the highest quality. 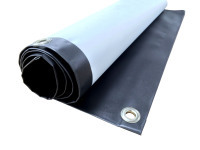 All our banners are printed with solvent inks for longevity and water resistance. With prices from £15 per square meter they offer great value for money too.